On occasion of the 2009 Detroit Motor Show, Mercedes Benz introduced the BlueZero Concept with three alternative propulsion systems and announced that it would start production of an hydrogen fuel cell powered model before the end of the year. 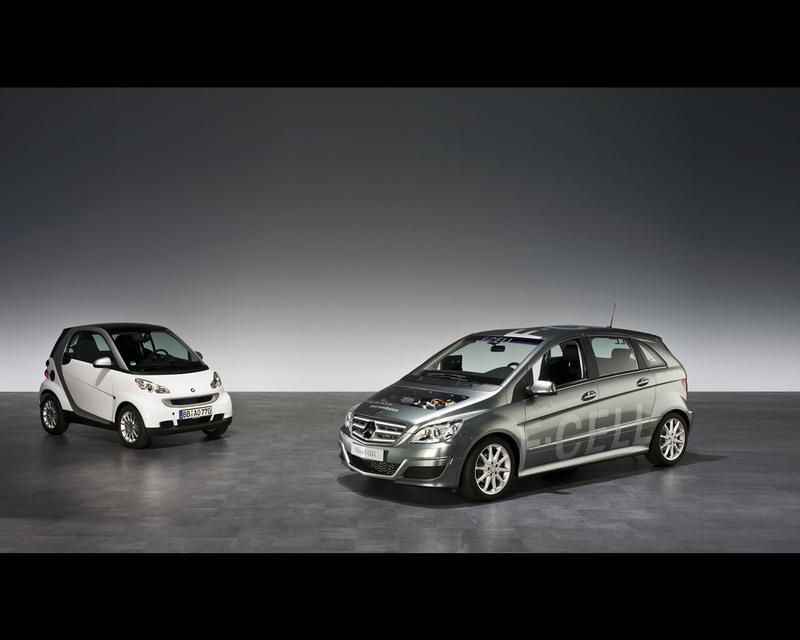 Just before 2009 IAA Frankfurt Motor Show, Mercedes is unveiling the B-Class F-Cell that is starting serie production for 200 units; the Mercedes B-Class F-Cell will be leased to customers in Europe and the United States at the beginning of 2010. 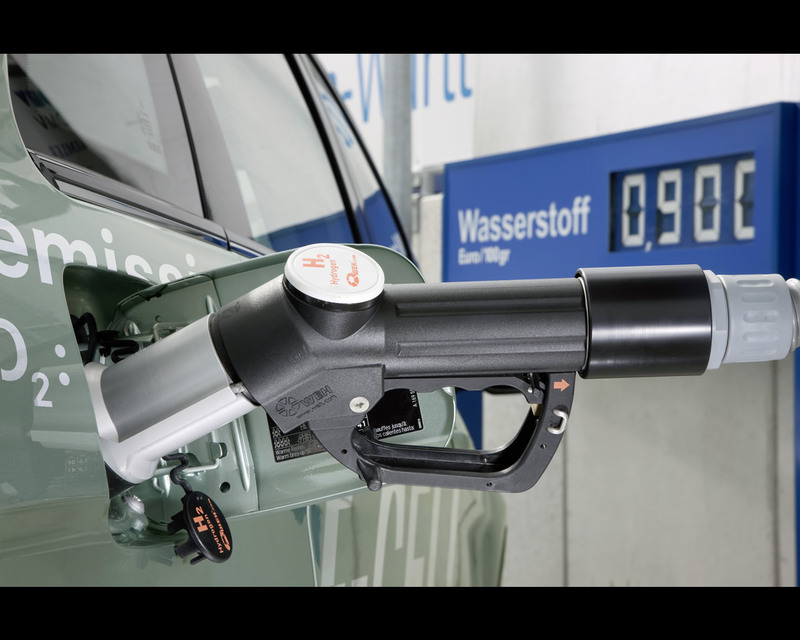 Hydrogen fuel cell powered vehicle, however, requires a comprehensive network of hydrogen filling stations that still has to be set up before locally zero-emission driving can become a widespread reality. To make this possible, Daimler is cooperating with government authorities, energy utilities and oil companies in joint projects in places such as Hamburg, Stuttgart and California. 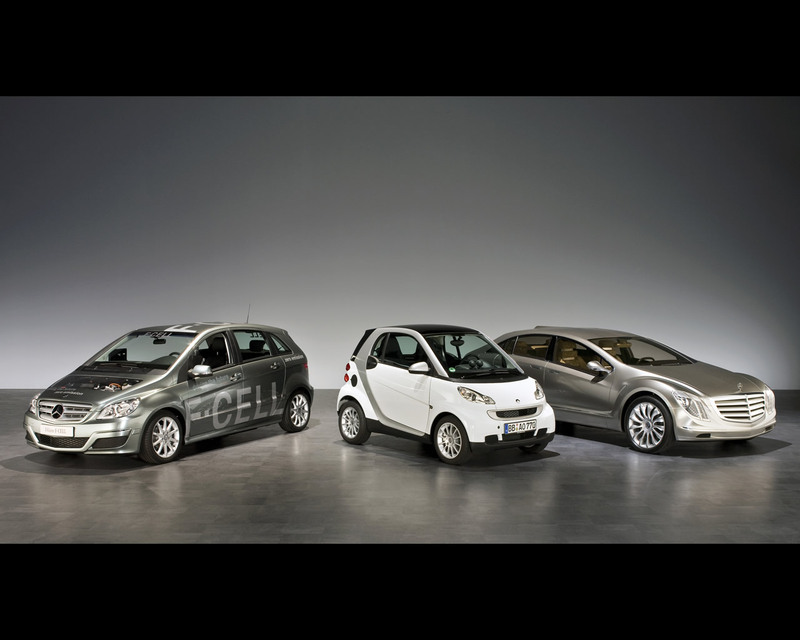 With more than 100 test vehicles and a combined total of over 4,5 million kilometres of trial testing, Daimler have accumulated an extensive experience with fuel cell vehicles. The Mercedes B-Class F-Cell uses the structure of the internal combustion engine model rather than a body style specific to the purpose as is the case with the Honda Clarity that went in serie production last year and is proposed for leasing in areas with hydrogen filling network in Japan and California. 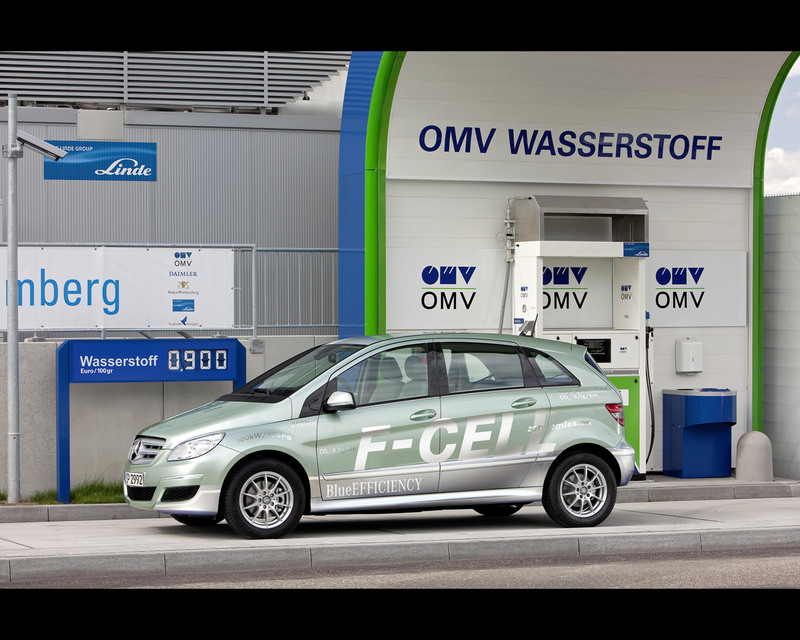 The Mercedes B-Class F-Cell's technological heart is the new generation of the compact, high performance fuel cell system, in which gaseous hydrogen, stored at 700 bar, reacts with atmospheric oxygen to generate a current for the electric motor. 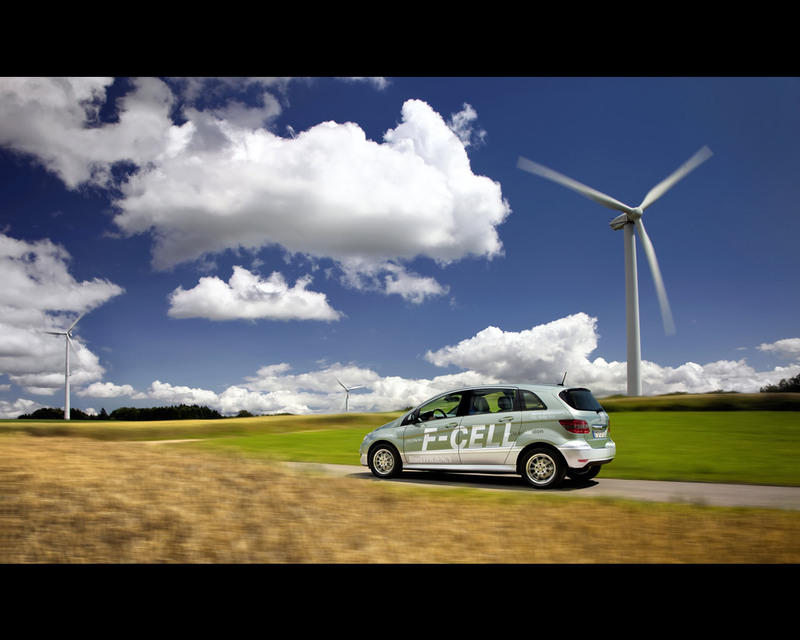 The fuel cell system of the B-Class has the capability of cold-start at temperature as low as - 25°C. As in electric hybrids with combustion engine, the fuel cell car uses a lithium-ion battery with an output of 35 kW and a capacity of 1,4 kWh to boost power and recover braking energy. 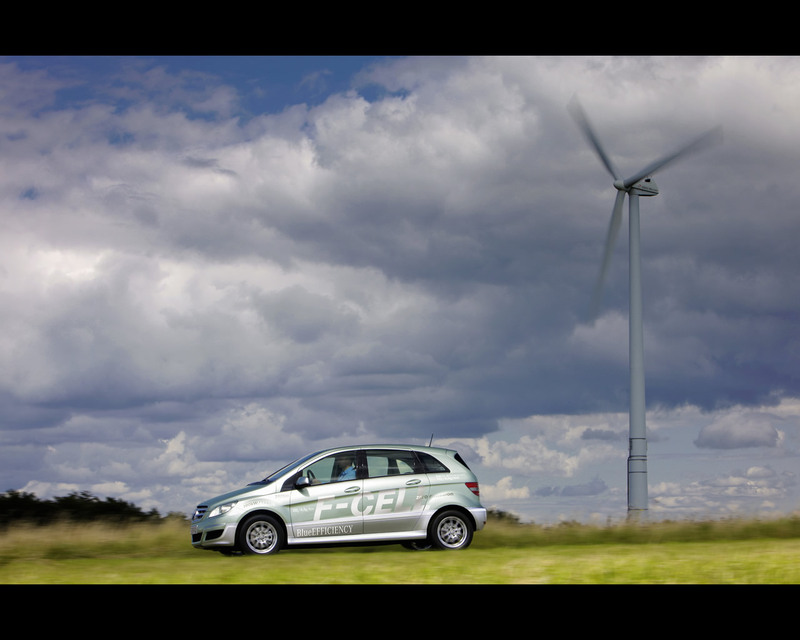 The B-Class F-Cell is claimed to propose performances similar to a 2,0 litre gasoline car and would require the equivalent of 3,3 litre of diesel per 100 kilometres (NEDC cycle). The electric motor has a peak performance of 100 kW/ 136 hp and a maximum torque of 290 Nm, which is available from the first rotation. The operating range with one hydrogen full load is announced for 385 km. Claimed maximum speed is 170 kph. The filling operation can be performed in about two minutes. The Mercedes B-Class F-Cell comes with interior leather upholstery, seat heating, automatic climate control and the Comand-system of the gasoline engined model. The Mercedes B-Class F-Cell employs the unique sandwich floor architecture; the advantage of this design is that the drive components are located in the sandwich floor, where they are protected and do not take up much space so that the vehicle's interior remains fully usable. For a car that is intended to be a milestone in alternative propulsion solutions, the external design should have matched the level of innovation. The customers can expect an illustration of their selectionfor a different propulsion mode.